New Season, New Artists, New Music – Oh My! We have 2 international students this summer. Langelihle Mngxati (SMC 2016) hails from South Africa, and new artist Maria Vasilevskaya hails from Russia. Seagle is increasing its reputation around the country and the world! Our roster includes a countertenor for the first time in over twenty years. 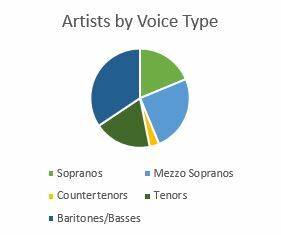 This rare voice type is most commonly heard in Baroque operas like Handel’s Giulio Cesare, where several roles were written for the famous (or infamous?) Italian castrati, men who could sing in a woman’s range. However, more and more new operas are including roles for countertenor (Jonathon Dove’s Flight and Thomas Adès’ The Exterminating Angel to name a few). With Seagle’s commitment to presenting new and recently composed works through the American Center for New Works Development, you might be hearing more countertenors soon. Want to know more about these fantastic singers before you meet them in June? 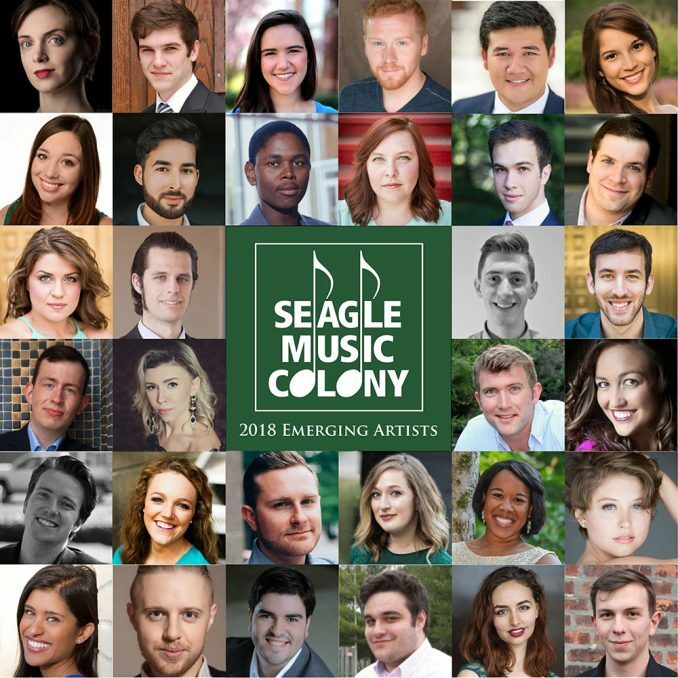 Visit www.seaglecolony.org/2018-artists. After two world premieres two summers in a row, Seagle will offer as its contemporary billing this summer a new production of The Great Gatsby by John Harbison. Based on the famed F. Scott Fitzgerald novel of the same name, The Great Gatsby brings the Jazz Age to the operatic stage. In addition to composing the score and libretto, Harbison littered the opera’s sound world with original popular jazz tunes; he did so to such effect that many listeners at the premiere were fooled into thinking these tunes were sourced from the 1920s! The opera was commissioned by the Metropolitan Opera and saw its premiere on December 20, 1999 with a star-studded cast including Dawn Upshaw, Lorraine Hunt Lieberson, Susan Graham, and Jerry Hadley. Despite skillful singing and a visually lavish production, the opera was received with mixed feelings. Critics found that the huge orchestral needs and large-scale production would be difficult to transfer to smaller companies. In 2012, the opera was reintroduced to the repertory at Aspen Music Festival with a reduced orchestration “tailor-made for colleges and small companies” (Zachary Woolf, NYTimes, 2013). It is this version of the opera Seagle will present this summer. If you want to familiarize yourself with Harbison’s opera and you happen to have a Met in HD subscription, you can watch the entire Met production in advance – we’d love to hear your thoughts on the two different productions! In case you were wondering, there are several reasons why Seagle features new or lesser-known works like The Great Gatsby. 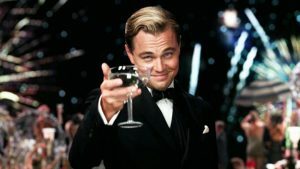 First, we see it as our duty to demonstrate that lavish stories like Gatsby do not have to be unwieldy behemoths only executable by the world’s largest opera houses (and budgets). These operas can be done justice on a small scale, and effectively too. Second, we hope to show that new opera doesn’t have to be scary or off-puttingly avant-garde. Harbison’s score has been described as neo-Romantic and his original jazz compositions were one of the highlights of the work’s critical reception. 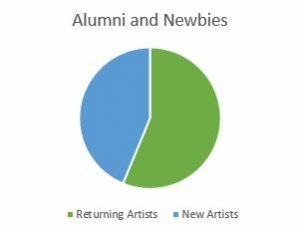 Third, as more companies, festivals, and colleges program new music, they expect their artists to have experience with this genre. Our productions provide the emerging artists with much-needed experience in this repertoire, which increases their marketability while strengthening their skills as musicians and actors. These are just a few of the reasons why presenting new or reworked opera is important, and we would love to hear about your reactions to these exciting pieces of musical theater. The Great Gatsby will play at Seagle Music Colony August 1-4, 2018. Last but not least, mark your calendars now – single tickets for the season go on sale April 1. You can buy your tickets online (https://seaglecolony.tix.com/) or call 518-532-7875.